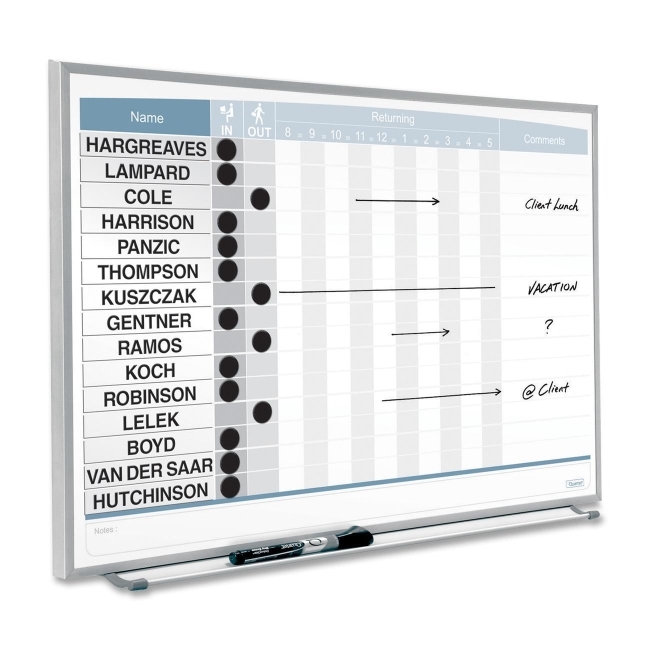 Board Size: 16" x 23"
Quartet 33704 Magnetic Board - 16" x 23"
Matrix In/Out Board tracks up to 15 employees on the magnetic painted steel surface. 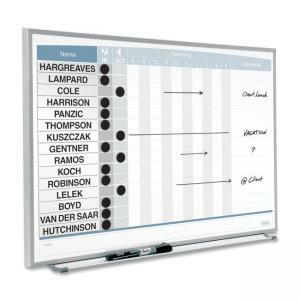 Thin-profile whiteboard with magnetic surface doubles as bulletin board. Board includes marker, black magnetic in/out circles, Quartet dry-erase marker and attachable marker tray for convenient accessory storage. With the innovative mounting system, you can easily hang the in/out board on cubicle walls with Cubicle Partition Hangers (MCH10, sold separately).